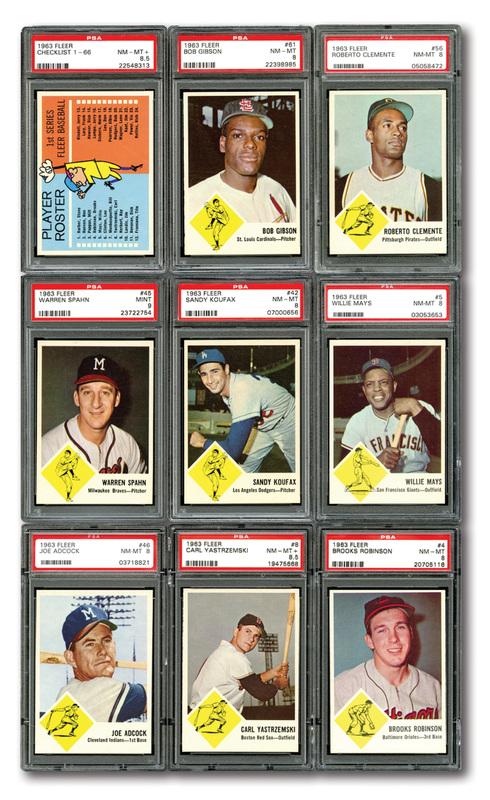 This offering is a 66-card complete set of 1963 Fleer baseball cards. 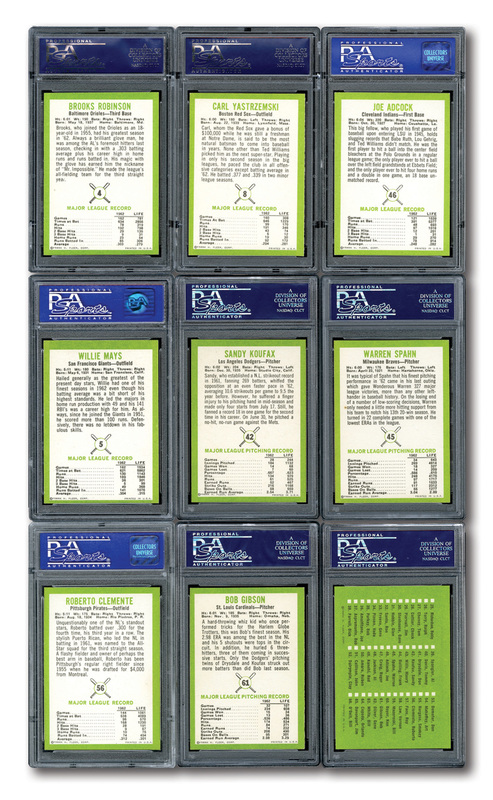 Every card has been graded by PSA and is currently placed at “#20 Current Finest” on the PSA Set registry with a GPA of 8.31. 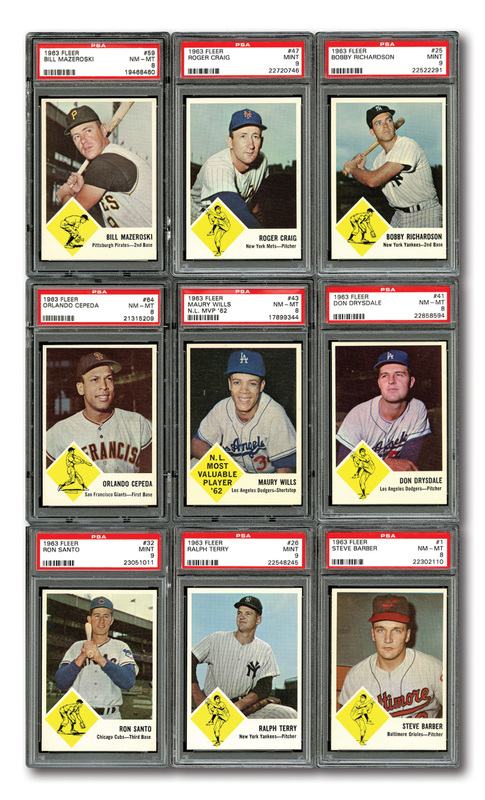 Although short lived, the ’63 Fleer issue enjoyed some success and included a number of the biggest stars of the time. The big standout in this set is the rookie card for Maury Wills, who signed with Fleer instead of Topps due to being snubbed by them during his minor league campaign. The Wills card is the only rookie in this set and the card front notes his MVP award instead of the player drawing found on the rest of the cards.